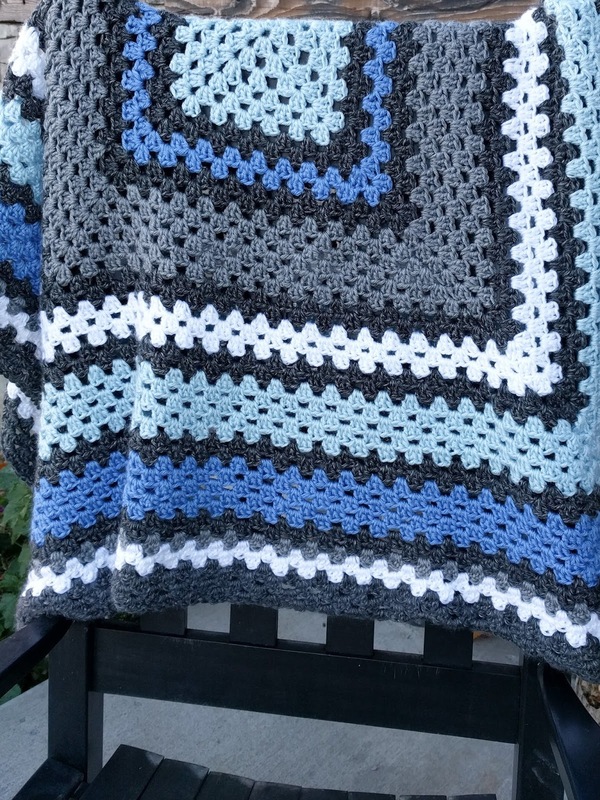 Remember the beautiful Sky Blanket that I began in January this year? Somehow I completely dropped the ball on that project. I wasn't working on it every day, just listing on a page in my bullet journal what the weather was like each day, and then when I was in between projects I'd pick it up and play catch-up. When we went to Lake Powell at the end of May, that plan came completely off the rails. It seems I forgot to keep track of the weather while we were away and then looked up 6 weeks later and remembered that I had not written down the weather at all since we left. I tried searching online for "past weather reports", but I couldn't find any place that charted whether it was sunny or overcast, rainy or snowy in the past. Darn! The project sat for months while I stewed at myself for messing it up and tried to come up with a solution to fix it. I loved the color combination of the yarn so in the end I decided to make it into something else that wasn't a year-long commitment. 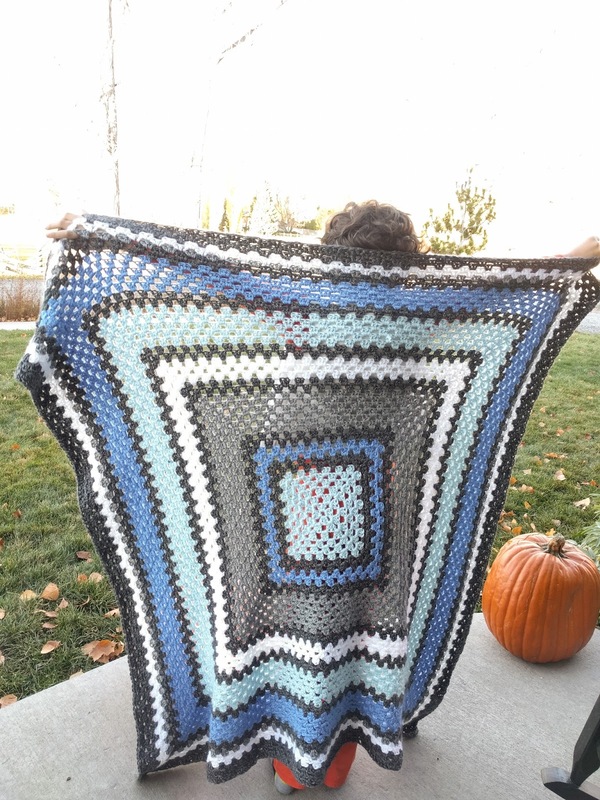 I ended up ripping out the knitting I had done and reusing the yarn in this beautiful Granny Square Afghan. 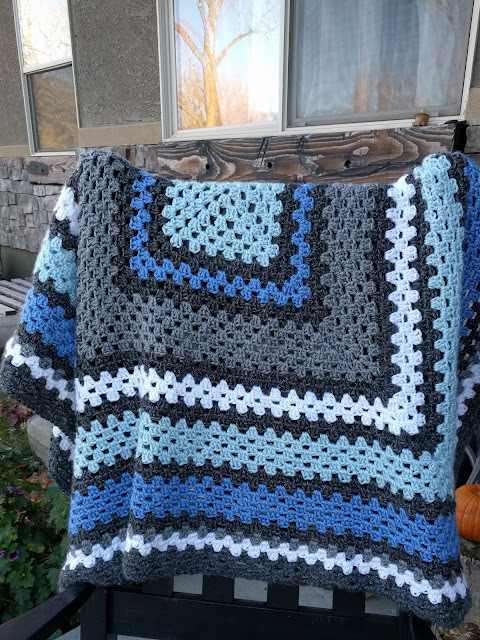 The pattern is very simple, it's essentially just a Granny Square that keeps growing until it's the size you want it to be. (Here's a great tutorial on how to crochet granny squares, if you need one). I am not a mathematical knitter/crocheter. I made the stripe widths up as I went, judging by eye whether I had enough yarn to complete another full round. 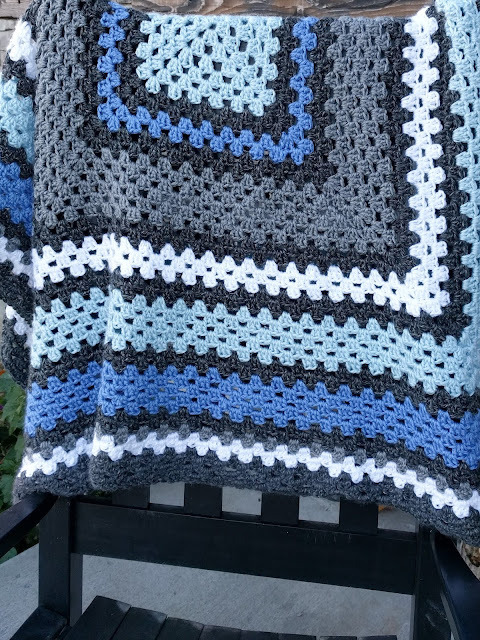 I added two rounds of Dark Gray after each color to tie it all together. 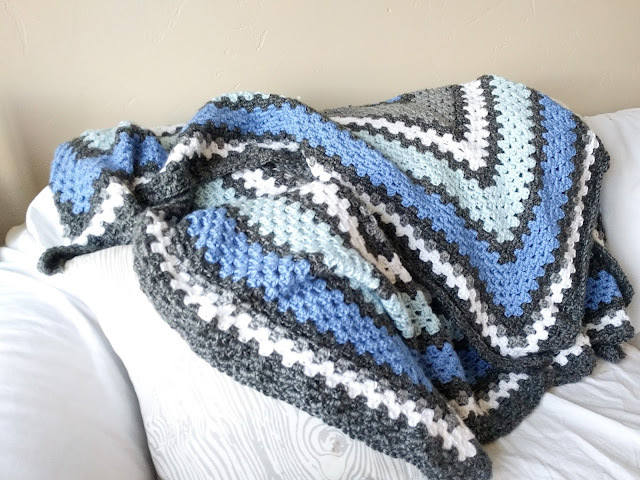 I am completely smitten with how this blanket turned out, and love how it looks draped across our couch. It's just the perfect size to snuggle up underneath on the cold winter nights ahead. It's so great to be back in this space! Our little Edith is such a sweet baby and I'm so glad I took some time off to really enjoy her and adjust to being a Mama of Four. (Four! how can that be?) Thank you for the kind messages of love and support. They are so appreciated.